Hey everyone! It's Candace from Candi O. 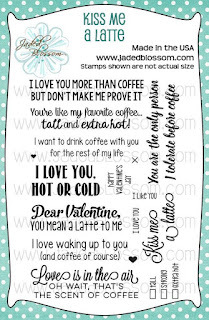 Designs and it's my day over at Jaded Blossom and I am sharing a project today using the Monthly Spotlight Stamp Set ~ "Kiss Me a Latte". 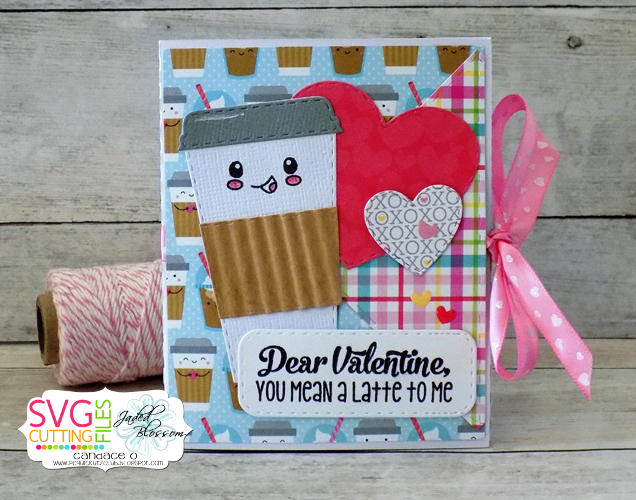 I wanted to make a gift card holder Valentine Theme and this stamp set was perfect!! I stamped one of the faces from Be a Pineapple Stamp Set on the die cut coffee cup to give it a cute personality and match the pattern paper!! 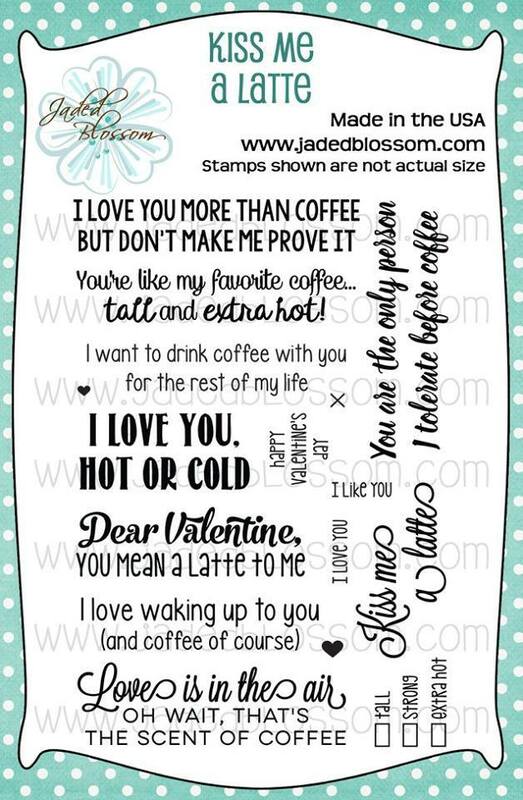 your own Kiss Me a Latte Stamp Set at a great price this month!